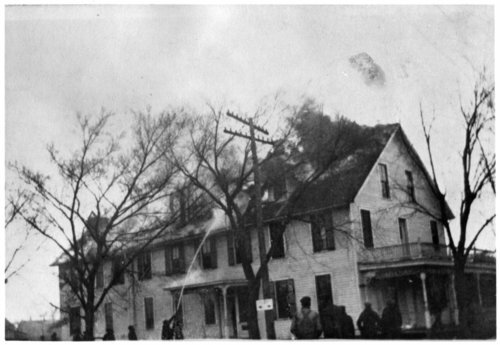 Photograph of the Denver House hotel in McFarland, Kansas, as firefighters try to extinguish a fire in the roof of the building. The hotel burned to the ground. It was built in 1887, the same year the town of McFarland was founded.